(To be eligible to show in the Open Class All Cattle Must be in place FRIDAY, August 31st by 10:00 am and remain on grounds until SUNDAY, September 2nd at 4:00 pm). Note: Sections 1-5 will be judged in conjunction with the 4-H show. 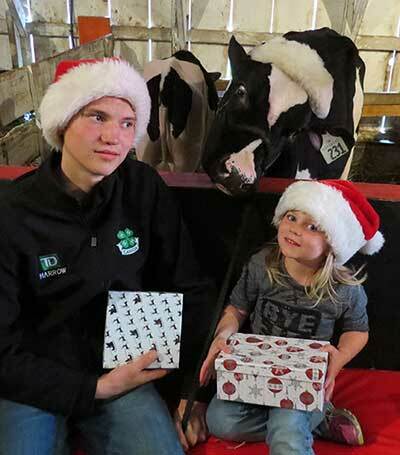 ENTRY FEE: 10% deducted from prize money paid out by Agricultural Society. 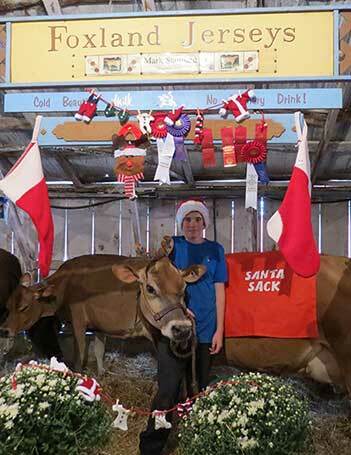 All cattle displays in the barns, both dairy and beef, are invited to participate in the Best Barn Display using the theme Christmas at the Fair. A trophy will be given in memory of Janet Sobota and Karen Fox. 11. 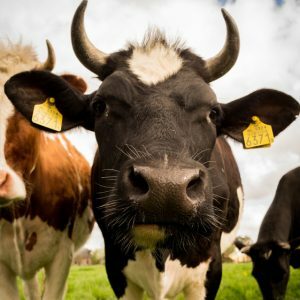 Female mature cow. Born prior to 2012. 12. Dairy herd. Group of 3 animals. Each animal must have been exhibited in one of the above sections and must be owned by the exhibitor. Each bull over 1 year of age must be secured with a ring in the nose or humbug with a chain or rope attached. Calves shown in cow classes may be split and shown in calf classes. 12. Breeders herd – A group of four animals bred by the exhibitor, both sexes to be represented and must have been shown in previous classes. At least one animal must be owned by the exhibitor. Limit one entry per exhibitor. All steers will be divided according to weight. There will only be two classes. 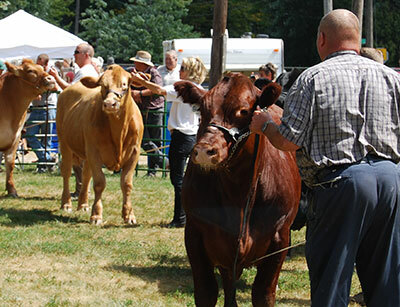 Cattle will be weighed if scales are available; otherwise the judge will split the classes in the show ring. 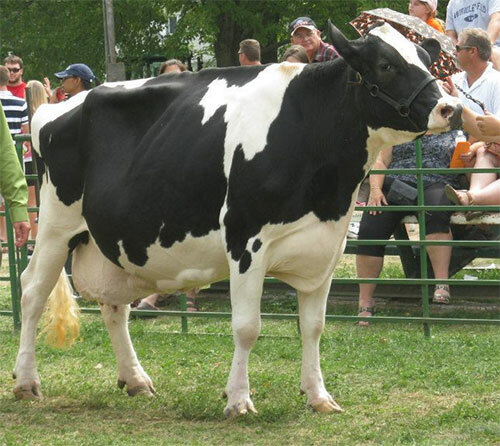 Market heifers are not eligible for breeding classes in the breeding program. Exhibitor may show/enter only two animals per class.